Fall is here and what better way to decorate than with pumpkins that help a great non-profit organization! The annual Boise Fire Pumpkin Patch Fund Raiser to benefit the Idaho Fallen Firefighters Foundation will be held on Saturday, October 3 at Boise Fire Station #10 (12065 West McMillan Road). “It’s been a lot of fun to grow these pumpkins and to see the families take them home to enjoy. We have all shapes and sizes to choose from. The best part of this event is we are able to raise funds for the Idaho Fallen Firefighters Foundation. Should the worst happen to one of our Idaho Firefighters, we want to make sure the family is provided for. That’s what this fund is all about,” said Boise Firefighter and event organizer Travis Schlabs. Schlabs says about 1,400 pumpkins are in the patch behind Boise Fire Station 10. About 100 of those are the Atlantic Dill Giant Pumpkin variety, weighing between 100 and 200 pounds! 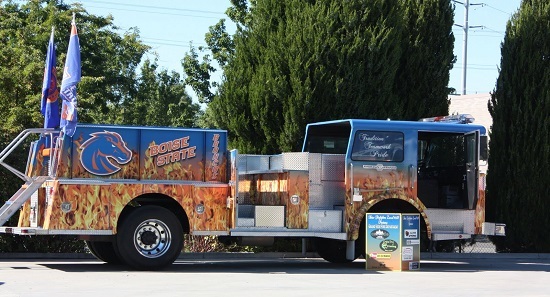 When: Saturday, Oct. 3 from 9:00 a.m. – 5:00 p.m.
Where: Boise Fire Station 10 back lot, 12065 West McMillan Road. Carpooling is encouraged as parking is available, but limited. Overflow parking provided by the bank next door to the station. Kids can enjoy a Dalmatian dog bounce house. Kids can have fun learning fire safety and prevention in the Boise Fire Safe House. Boise Fire Union Local 149 will have the popular Boise State Fire Engine available for tours and photos! “These guys are incredible. Top-notch service at the same prices as the other dingy lube shacks around town. They greet you with a newspaper, Wi-Fi enabled tablet, and beverage of your choice. The staff is very friendly and engaging–something I didn’t expect a half hour before closing time. My favorite thing about Einstein’s is the video monitors near the driver’s side that allow you to watch what’s going on under the hood and below the vehicle. Very cool act of transparency that just gives you a good vibe. The high-spirited communication between employees is amazing as well. Definitely get the impression that the guys enjoy working there. Surprisingly, the answer for many or even most Idaho drivers is yes. 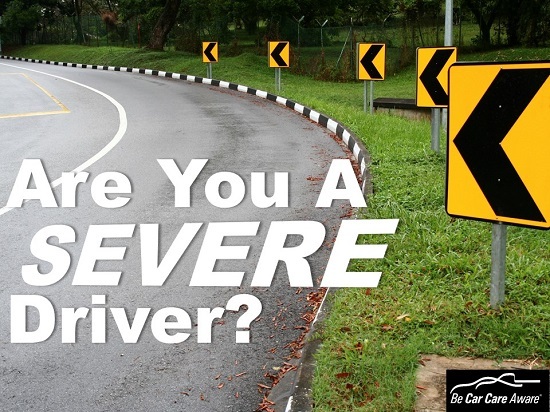 Although normal driving is defined as steady driving in non-extreme weather or environments, for most motorists today, being a severe driver is more the rule than the exception, says the Car Care Council. stop-and-go traffic; short commutes; heavier loads: cargo, passenger or towing a trailer; rough or mountainous roads; dusty or salty environments; driving in extremely hot or cold weather. Sound familiar? “According to definition, most driving is going to be considered ‘severe.’ ” says Rich White, executive director of the Car Care Council. Follow the “severe” service schedule in your owner’s manual. Check fluids, including oil, and filters more frequently. Have certain components such as brakes and shocks inspected more regularly. 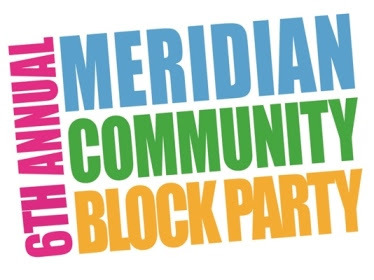 Community Block Party In Meridian This Saturday! The Block Party is here! It’s time to send summer out on a high note by loading up the family and heading to Julius M. Kleiner Memorial Park for a day of fun this Saturday September 19th from 10am-5pm! The 6th Annual Meridian Community Block Party is a FREE event and will include a variety of activities for the entire family to enjoy including inflatables, a climbing wall, Food Truck Rally, the Boise Co-op Kid’s Corner, great local performances on The Village At Meridian Main Stage, bubble soccer, three-legged races, video games, ice block races, on-site broadcasts with WOW Country and Mix 106, and lots of other games and activities! And YES, all the games and activities are FREE! Visit the Block Party website to see complete details on all the fun! 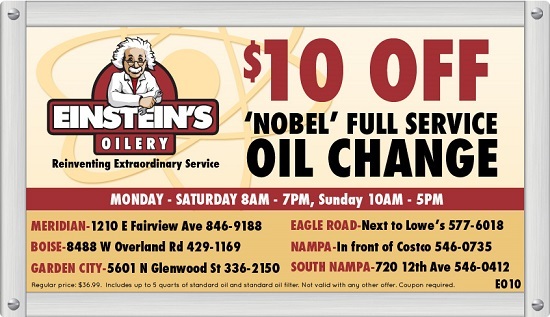 Save $10 on a ‘Nobel’ Full Service Oil Change with our online coupon. Click the image above for your printable coupon. No appointments ever needed! Plus, at Einstein’s you can relax in your car with a FREE newspaper, beverage, and Wi-Fi while you watch your service performed live on TV!